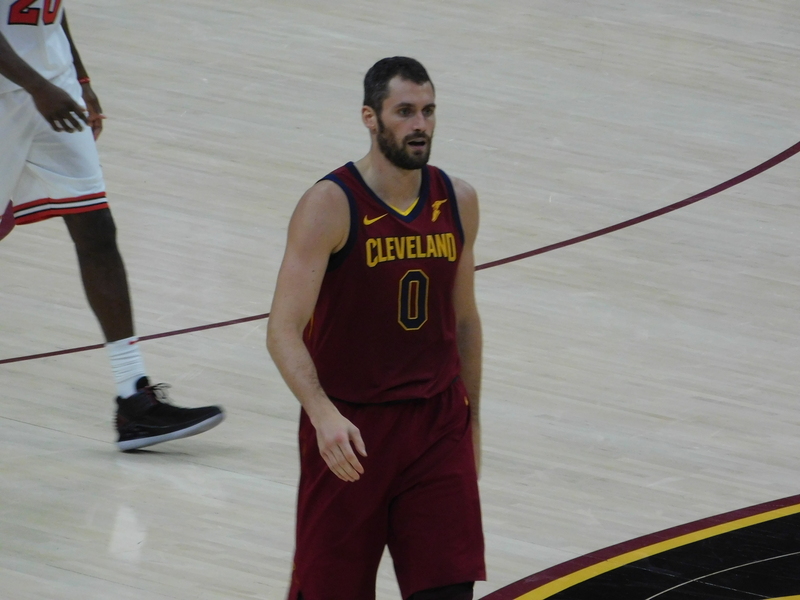 INDEPENDENCE, OHIO– Kevin Love continues working his way back from a fracture in his left hand that he suffered on Jan. 29. At Thursday’s shootaround, Love was on the court, wearing a padded glove on his injured hand while going through shooting drills. Check out video of it below from AP’s Tom Withers. According to cleveland.com, a team source said Love’s timeline to return to play has not changed from the original eight-week projection. If that continues to be the case, Love will return the last week of March, with three weeks remaining in regular season action. Before the injury, Love was named a league All-Star for the second straight year. He is averaging 17.9 points and 9.4 rebounds this season.